Sanfords ComputerWorks – Does Yours? A dying or cracked display doesn’t mean your laptop is a paperweight. For most laptops, replacing the screen is much more affordable than replacing the laptop, especially if you consider the time involved in moving your data and applications to a new unit. It is often difficult for small businesses to justify hiring someone to take care of their IT systems on a full-time basis when they have less than fifty PCs on their network. I have just received a phone call form someone claiming to be from Microsoft, who says that I have a virus which is sending information from my computer. It sounds like a bit of a scam, but is there any chance that it could be genuine? Help! My hard drive died and it has all my pictures on it! 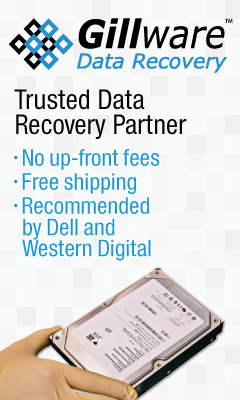 If disaster strikes, and your hard drive has failed, we can help. If your computer breaks, don't panic. We offer a huge range of PC, laptop, and server repair services. No appointment necessary! Bring it to us and talk to a real live human being. We are not a company who outsources anything to technicians in another country. Your problem gets diagnosed and fixed right here. We will give you an honest assessment of the issue and what it will cost to repair. No nasty surprises on the bill! We treat you the way WE want to be treated. Most repairs can be completed in 48 hours or less. We call you as soon as work is completed. Nobody in Hutchinson is faster! Are you looking for server installation and management? We love working on business networks. The latest and greatest OS from Microsoft! Don't believe the bad press, it really is better. You are welcome to stop in and test drive it! We have experience working on older versions of Windows all the way back to Windows 3.1. Yes, we're old. Really old. We have a huge inventory of brand name desktops from top tier vendors such as Dell, HP, and Lenovo. We can help you configure your phone or tablet just the way you need it. Get unchained from your desk! High-quality business grade laptops from top tier vendors such as Asus, Dell, HP, and Lenovo. Do I need to bring my desktop power cord? No, we do not need power cords for most desktops, unless they have a power brick to turn them on. Do I need to bring my laptop power cord? Yes, you will need to bring the cord as we will want to test it as well. Do I need to backup my data before bringing my computer to you? No. Regardless of the work being done we can backup your data if it is necessary. Do I need to make an appointment for service work? No. Appointments are not necessary. Just bring it in any time. We have a speedy 1-2 business day turn around. Why is backing up my data important? We don’t want you to lose your important photos, music, videos or documents. Backing up your data on a regular basis helps make sure your memories stay safe in the event of a computer catastrophe. Most people don't realize this, but eventually every single hard drive will fail. Hard drives have high-speed, high-precision moving parts, and eventually they wear out. Will my data back up automatically to an external hard drive? Many external hard drives will come with software to automatically update your important files. We can help configure the software to identify your important files, set up a backup schedule and show you how to manage the schedule in case you’d like to change it or initiate a manual backup. My computer won't turn on. Can you still backup the data? We can definitely help. There is a chance the internal hard drive is in good working condition, even if the PC is not. Frequently we can remove the drive from the PC to access your data and files. If the hard drive is not in good working condition, however, we may need to turn to more advanced methods to recover the data. We can still rescue your data, but advanced data recovery would be required. Best place, hands down to get your PC worked on. The best part is that they're completely honest with you about any issues your computer may be having. I was taken care of with great customer service. Highly recommend. You will not find a more helpful or knowledgeable group of people than the staff at Sanford’s Computer works. I have been a customer of theirs for many years for both my business and personal needs. These guys know what they are doing and they are the best at what they do! Sanford's is another great testament to downtown Hutch- friendly, knowledgeable employees that offer the same quality customer service that keeps my business with them!